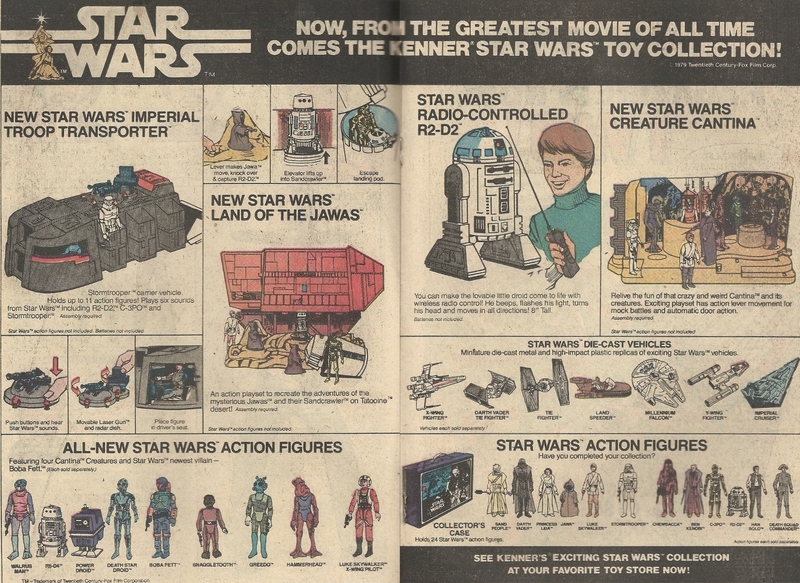 There’s something quaint about this early 1980 two-page Star Wars spread. While there are admittedly a lot of wares on display, the Lucasfilm marketing machine hadn’t reached the mammoth level it’s at today, where every conceivable sort of tchotchke has been put out or will be in the near future. I’m convinced that, if Lucas now decided to pull the plug (unlikely, I know) on his licensed junk cash cow, it would gain sentience, take physical form and lash out like Skynet or HAL 9000. “What are you doing, George?” You know?